As a majority of music released these days has moved from physical formats to streaming, and album cycles have given way to a constant flow of singles, the role of mastering engineers in modern music has also evolved. And of course, the artists, labels and A&R’s #1 concern is always how loud a master is. But loudness is a moving target! 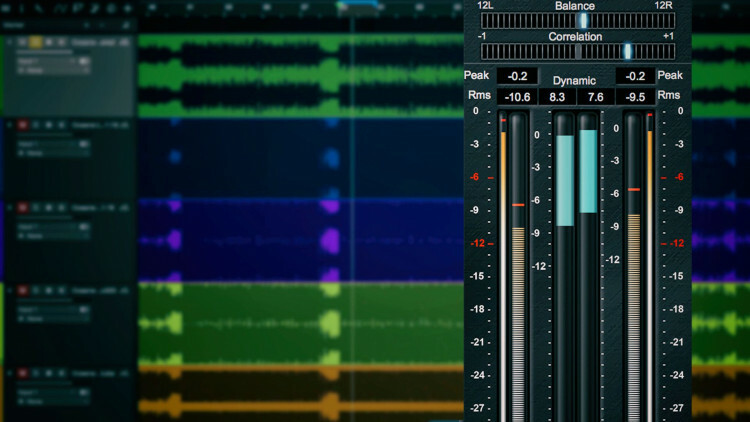 In this tutorial, multi-platinum mixing and mastering engineer Luca Pretolesi details his methods for creating masters that are perfectly suited to work across multiple platforms. He details the target loudness levels he uses for EDM and pop mixes and masters. He explains all of the different considerations you need to make when delivering masters to all the different streaming services as well as radio and CD. Hear the difference between a dynamic master and a hyper-loud master that stands out from the rest. Then learn how to prepare alternate masters for social media and streaming platforms. Ciao tutti amici! Bienvenuti! This is Luca Pretolesi, here in Las Vegas, Studio DMI. Today we are going to talk about Mastering Level for EDM and Pop music. Before we dive in on the conversation about different level and different mastering for different applications, let's talk a little bit about how we measure those levels. And today, peak and RMS is the way to in some way talk about the same language between producer, between radio between record people and artist. And there's a little bit of confusion sometimes between Peak and RMS. So, with today digital music and digital stream, the peaks, I would say they are less important than RMS, but we assume that we get the 0 Db, which is the peak. So, the valley and the mountains and everything are the peaks of the music. Now we have the average level, which is how much we're constantly getting and how much you perceive. Than we have the crest factor which is between the peak and the average level. In the middle of that we have the RMS level. When you kill the entire dynamic of the tracks the RMS is gonna be 0, your dynamic range is gonna be 0. We wanna start to go from the top down. In the case of EDM music that I'm involved a lot, we talk about a Loud Version, a Dynamic Version, and from there we're gonna talk about versions for different applications. But if we start from the actual mix before we talk about the Loud version then we're like to deliver a mix right now in between -9 and -10. And to give me enough headroom to apply my mastering or to have some ideas to alter and change a little bit of the dynamics on the actual mix. Let me show you the meter. The meter of my choice is Brainworx bx_meter. I try to always find tools that are very easy to read, not confusing, very clear. In this case we have peaks on the extreme left and right. Then we have the RMS and we have dynamic range left on this track right in the middle of the meter with left and right. So we have also an idea of what's going as far as stereo placement. I assume that I hit 0 Db on the peaks and then now the RMS level left on the track is the room that I have to come up with the track. On the session I have all the versions that I'm going to deliver to my client. And after I have the pre-master version, after the song has been approved, then we deliver it starting from the super loud version. In a EDM song they kind of specifically want a very loud mix. Now, in order for me to deliver the dynamics and the other versions, I need to start from the top. So I know how much I can go down. It's gonna be hard doing it the opposite way. Also, it's challenging to have a very loud track that is not distorting, is not clipping in a bad way. So I start from the loud. The loud may vary based on the artist, the type of music. So I can go by an average as -5, which is the average of dance songs today, to something very extreme like the case of this song which is -3. Let's play that and let's look on the meter. On this track we still retain the 0 Db, the peak is not changing, at all. Sat still on 0. But we raise the RMS level to over -3. We've reduced the dynamic range -2.8 to -3. I wanna specify, this is for something called the drop, which is the part with most pressure in the song. We wanna bring everything to front. Eventually, on the verse, on the intro, the dynamic range is going to increase, the RMS level is gonna go down and the peak is gonna still remain at 0 Db. As today, -5 RMS is my average level for a very loud mix. Today, on the DJ community, we raise up to -4, -5, -6. We run around that space. Now, because of all the new night clubs, all the new settings, they are based on DJ style of playing music, the limiters on the club are actually set in a way that there is a point of limiting starting based on music set at -5 RMS. So what happens if you bring your set that has not been mastered very loud you're gonna have a lot of peaks. This means that, specially in the low-end with sub-woofers on the club, you're gonna easily have problems with limiting of the actual night club system. And this is gonna translate on a track that is constantly compressed from the club system, or your forced to lower your level. If the entire DJ community shake hands and say: "Let's lower the level, just go down to -9." This problem is not gonna exist. Now we're gonna have all the limiters set in a different way, now we can go higher, have more dynamic range. But as to the reality, that's not the case. From the -5 Db RMS master I wanna create a Dynamic Master. The purpose is very simple, I wanna make sure that my song is gonna work well regardless it's on TV, radio, Spotify, Youtube and everywhere. So essentially what I do, I take my Loud Master and I reduce 2 Db from the actual master. If I feel the tracks need less limiting on the actual track I go back to my Master Bus and then I reduce the level of limiting that I actually have on the track. And in that way I can export a more Dynamic Master. From that point on I'm gonna start thinking about prioritizing. My track is gonna go on radio eventually, the FM radio, that has a very brutal limiting that's happening, especially, not on the digital radio, but the old school FM station. They are really important still. I wanna give something that's not gonna be squashed again. That's my Dynamic Version for radio which as today, is the equal to the Spotify. And equal to the Youtube. So essentially, those Masters, FM radio we listen on the Radio, we listen on Spotify and Youtube, essentially is the same masters coming from me. So we have a -5 Db RMS for the Beatport release, we have a -7 Db for Radio station, Spotify and Youtube. Now we need to think about specific applications. The Instagram encoding brings the level up +2 Db on the overall track. So at this point we have the Dynamic Master fine, but it's not enough. We need to take the entire song and bring the level down -2 Db. Otherwise you're gonna have distortion on the actual song. From iTunes use I'll love all the time to have the proper "Mastered for iTunes" which is, we take the Dynamic version, we lower 2 Db we do a 96 kHz, 24 bit, amazing sounding track. But it's up to our client. And in case of EDM tracks they tend to have the same level, the same track that you can download at Beatport you're gonna fine them at iTunes with the same level. The MP3 is really important. And I feel that sometimes, as soon as we have a wave we just drag it in iTunes, we make a MP3 and it's ready to go. And we forget the important element which is the MP3 encoder that pushes the level up 0.3 Db. That's a big deal, in a track very loud -5 Db RMS really right there on the peak of 0, we're going over the peaks, 0.3, that's a big deal, we don't wanna do that. So, my approach is this: The client chooses the track, Loud or Dynamic, that's gonna be the MP3 we take that and put it on Izotope RX, a 16 bit version, we lower the actual peaks, -0.3 then from there we create an MP3. The MP3 is gonna go eventually up 0.3 and go back again to 0. Let's look the meters starting from the Unmastered version. We're talking about. - 10, -11 RMS level. From the Unmaster. The Loud is extremely loud. Actually louder than normal for my standards. A specific request from the client. That's a pure big room EDM track that was requested. As far as the Dynamic version, we go down about 3 Db from there. So we go -5 which is usually my average for the Loud version. But once again, for the specific request, we went down to -5 to retain a certain sound between the two by going down 3 Db from there. We have an MP3 version which is essentially the same as the dynamic version, which is the track that was chose to be the MP3. In order to do that, we lowered 0.3 and then after the conversion, go back to 0. So it has the same peaks and RMS as the Dynamic version. The Spotify, for this case since the track is really big mid-range, with a lot of power in the middle, I decided to just go a little bit lower on RMS. And we pulled down to -7 RMS. Essentially, 2 Db lower than the Dynamic version. It was important for this track on Spotify, to translate in this way. But again, my standard is usually Spotify equal to the Dynamic. Then we have the Instagram version. Which is not a version that we use all the time but you might need it. And that version, because of the encoding of instagram, we lower between 2 and 3 Db from the actual Dynamic. So if you look at my peaks now, not only we lowered the RMS level of the actual tracks, but also the peaks are at -3 in this case to make sure there's no distortion on our Instagram. And that's it guys, that's how we're delivering Masters today. From the Main Master that's been approved we create 5 versions. That's how the industry is evolving and we respect different platform, different format, and who knows, maybe in 1 or 2 years from now we're gonna have a new format, and we're gonna do another update of this video. Amici, questa e' Luca Pretolesi, ciao, ciao. A la proxima. Bye! Very nice, but some information is quite misinformed. You can't talk digital delivery without going into TruePeak values. Masters that are to be encoded in any way should not have peak levels above -1dbFS TP to make it safe for most mid to hi bitrate processes. Lowering a WAV to -0.3dbFS won't make much of a difference in any encoding situation and even less so if we're not even talking TP. Great info in this video but technically it would need an update. Amazing video! Tnx so much to Luca and Puremix for sharing all this knowledge! In my opinion it's a little bit a pity and confusing that for example you took a song with extreme requests from a client. I've preferred an example of a master done like Mr.Pretolesi thinks it's the best way! Hey Luca Pretolesi! How about a LUFS standard? It's time to upgrade this video and stop forever the loudness war!. I thought this tutorial was a fantastic view into the world of levels in professional electronic music mastering and it is a perfect demonstration of what the "norm" volume is on modern tracks. Hate on the lack of dynamic range all you want, Luca is producing results that are appealing to pro level artists. Much appreciated pureMix. Hey I'm FOH engineer in many clubs here in Europe and never heard about this loudness normalization @ -5dbfs . Which venues use this setup? That's insanely loud! Interesting on instagram. Wasn't aware it was that different. Grazie Luca! The clearest and the most enlightening tutorial on master levels I've watched until now. I'm looking forward to seeing more tutorials from you. A la proxima! 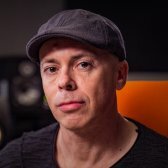 Great and insightful information for the current EDM producer.